Guess what? Chances are, if you’re doing content marketing, you’re also dipping your toe into SEO. Some SEO specialists and content marketers will try to convince you that the two are not at all related or that each can thrive on their own. I'd like to argue that this perspective can be disastrous to your campaign and kill your chances at running a successful content marketing campaign. This siloed approach stems from a long standing competition between SEO's and content marketers. As content marketing became a popular tactic, marketers began to view SEO as an outdated approach. This is partially true. Some SEO’s still use tired tactics that don’t work and worse yet, get you a Google penalty that keeps you from getting any organic traffic. On the other hand, if executed properly, SEO can be extremely effective in reaching your content marketing objectives. I’ve always taken a holistic approach when it comes to SEO and content marketing. They go together like salt and pepper. One without the other will only get you so far. In other words, If you want to run a successful content marketing campaign, there needs to be an SEO component and vice-versa. So, how do you know if your SEO strategist is overdoing it? Look for these 3 signals. 1. No regard for who your audience is. Understand your audience, know who you’re writing for. How would they search to find what you’re writing about? What keyword do they use to search for your topic? If your SEO doesn’t ask about your audience and doesn’t know who your audience is, proceed with caution. Understanding your audience is BASIC and should not be ignored. Don’t cram keywords in after your content is written. Before you start writing, decide what your main topic is and write with that topic in mind. That way, your content will read more naturally. Keyword stuffing may have worked in 1996 but it doesn’t anymore. Stay away from link anchor text that is over-optimized; don’t choose the same anchor text for every link. Back in the day, optimized anchor text was influential to rankings and securing a good search position. This is no longer the case. Over-optimized anchor text can look like you’re gaming the system and negatively impact your ranking. Is your content marketer ignoring SEO opportunities? Look for these 3 signals from your content marketer. Your page titles and descriptions should be unique and relevant to the page they reside on. If all your page titles and descriptions are the same, you’re missing opportunities to get your content in front of your audience. If your content marketer has no plans to optimize or promote the content but they’re relying on the value of the content alone, be suspicious. Even the best content needs to be optimized and promoted. *Read more on this in "If you build it, they will come (not really): Best practices for optimizing blog content." There’s a fine balance between content that’s over-optimized and content that doesn’t consider optimization at all. Your content will be more visible if you optimize for your primary keyword and make sure that your content, title, description, URL and image attributes all support your defined keywords. If your SEO or content marketer tells you that the other discipline is unnecessary, be cautious. SEO and content marketing shouldn’t compete with one another. 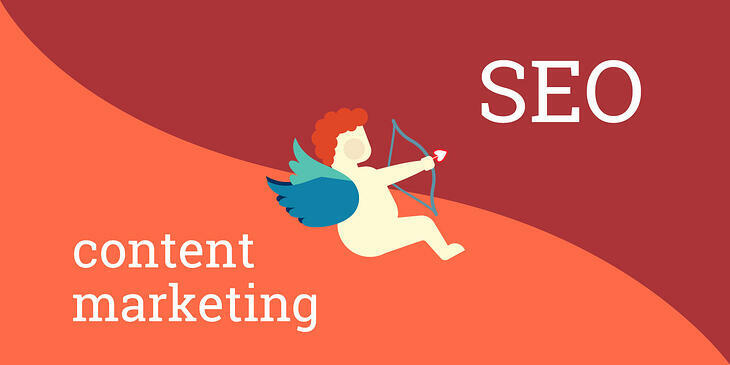 A plan that incorporates content marketing and SEO will take your content to the next level.